The toggle for this feature is up at the top of the app—the sparkles. Tap that, and the app asks if you want to switch to viewing the latest tweets. Tap again, and you can go back to the algorithmic home. Sadly, this change is not permanent. After you've been away for "a while," the feed switches back to the regular home. 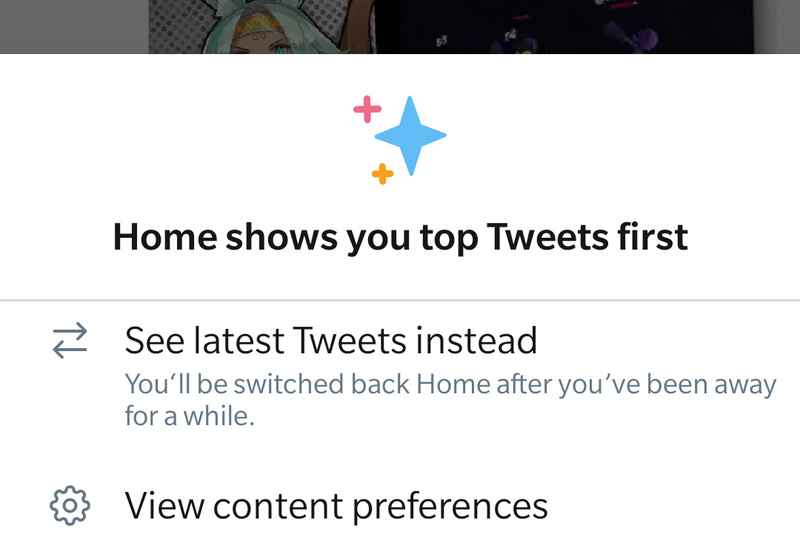 You still get promoted content in "latest" mode, but there won't be old posts near the top of your feed—it works more like every other Twitter client in the world. So far, this appears to be a server-side switch. There was no app update, and the button didn't appear when I first opened the app. It did, however, show up a few seconds later.